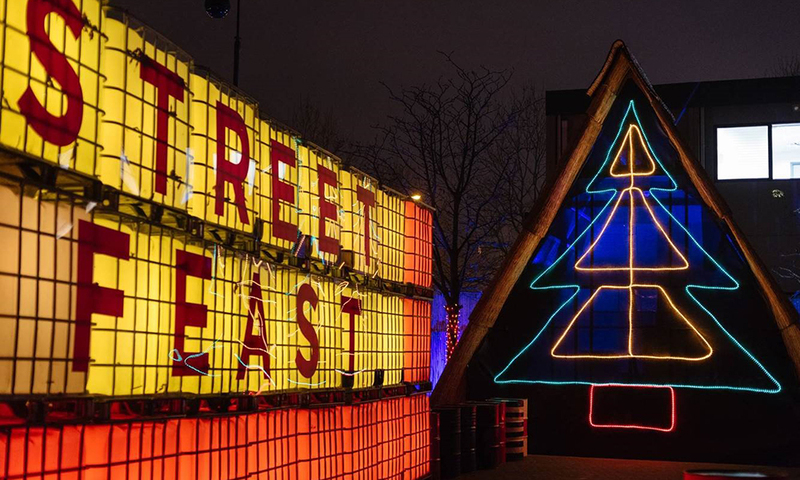 Hawker House is a huge indoor food and drink warehouse in Canada Water and the perfect versatile space to get the festive creative juices flowing for planning the ultimate Christmas party. 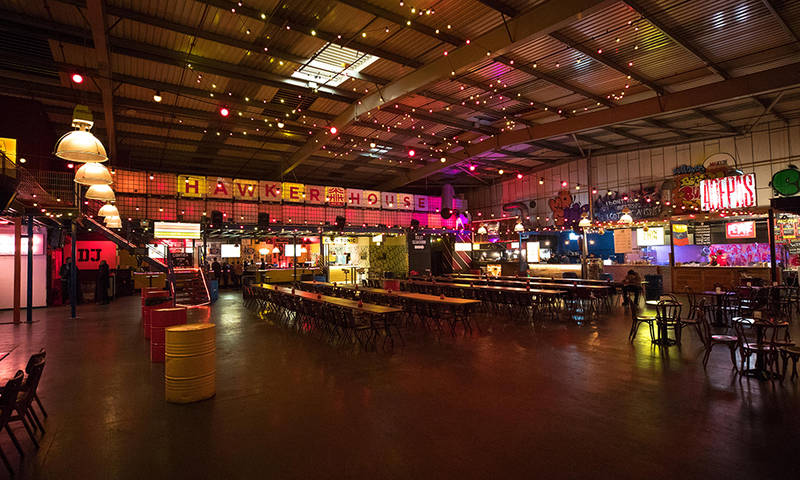 Hawker House can accommodate smaller room hires from 50 people up to much larger whole-venue takeovers of up to 2,000 people. 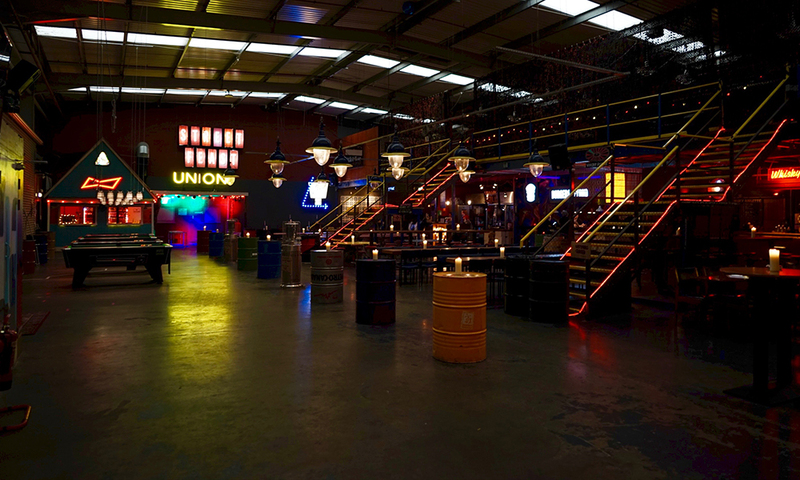 The incredible warehouse space has nine brilliant bars, twelve epic street food traders and loads of extra room for you to play around with, including optional pool and beer pong tables. 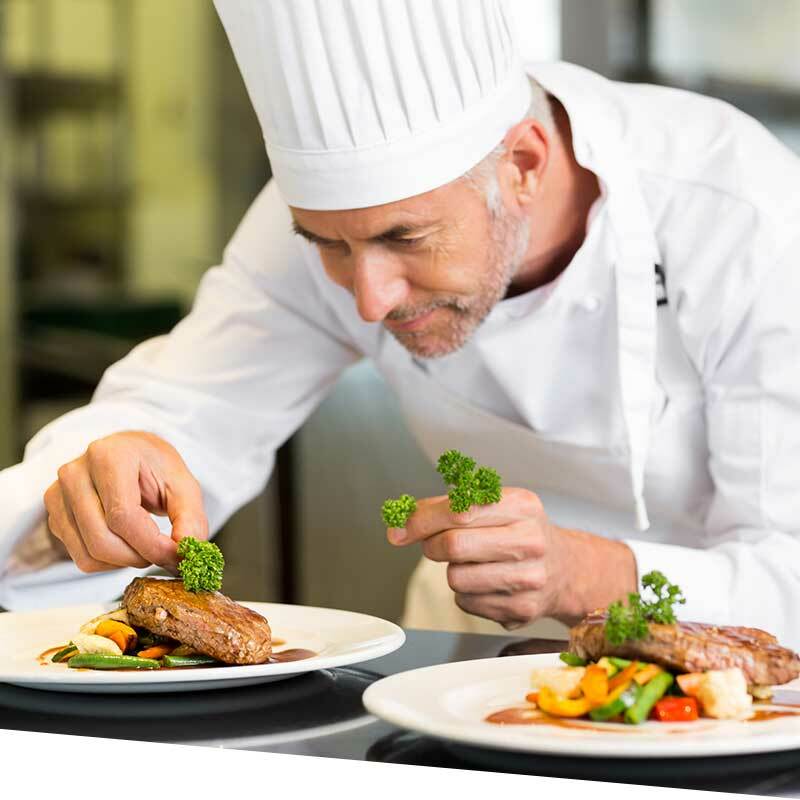 Hawker House is a short walk away from Canada Water Overground and Underground Station, and is only a short distance from London Bridge, Borough and Canary Wharf. 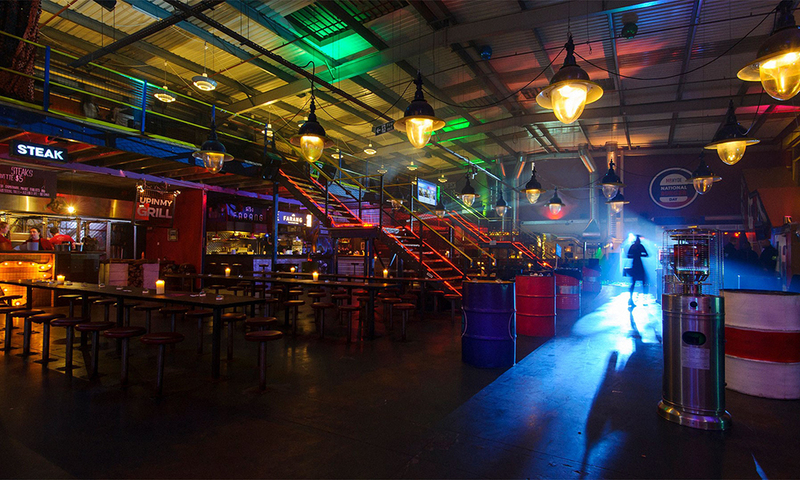 For Exclusive Venue Hire – Choose your menu from our delicious variety of street food dishes and make your own personalised food passport for your Christmas party. Guests can eat the world with their passport. 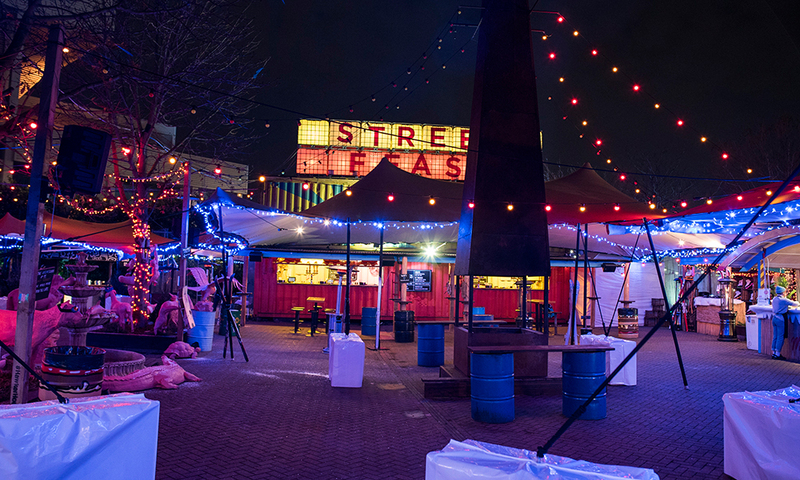 For Room Hire - We provide our very own Street Feast currency for your Christmas party guests can explore everything that we have to offer with these unique street food dollars, redeemable with any trader. Hawker House is a 2 minute walk from Canada Water Overground and Underground Station, and is only a short distance from London Bridge, Borough and Canary Wharf.